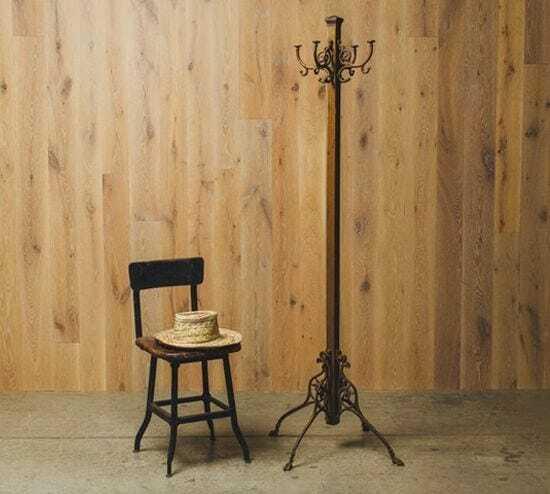 Customers at a barber shop in Pennsylvania once slung their caps and jackets on this turn-of-the-century coat rack. 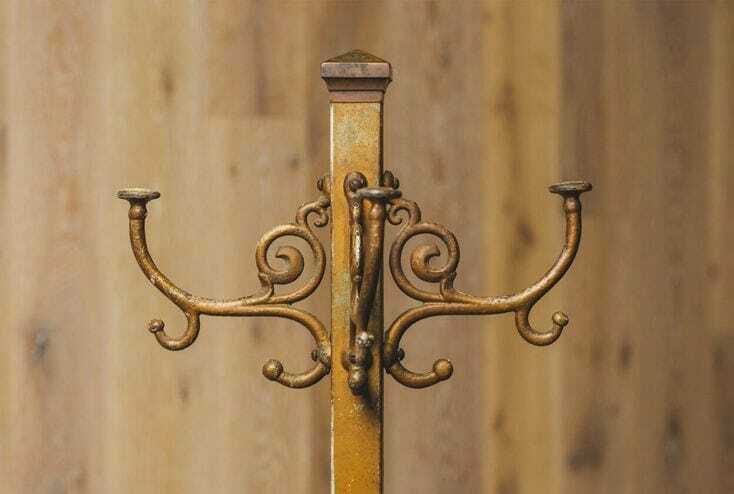 Sturdy brass pole with cast iron hooks on all four sides. 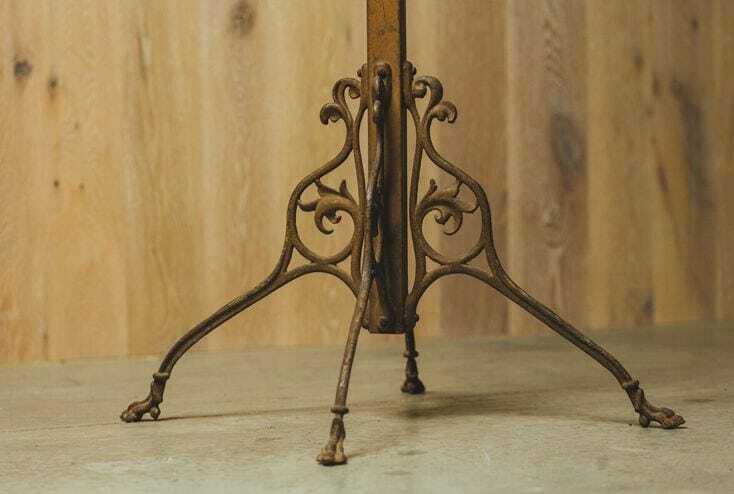 Tiny clawed feet support the base.